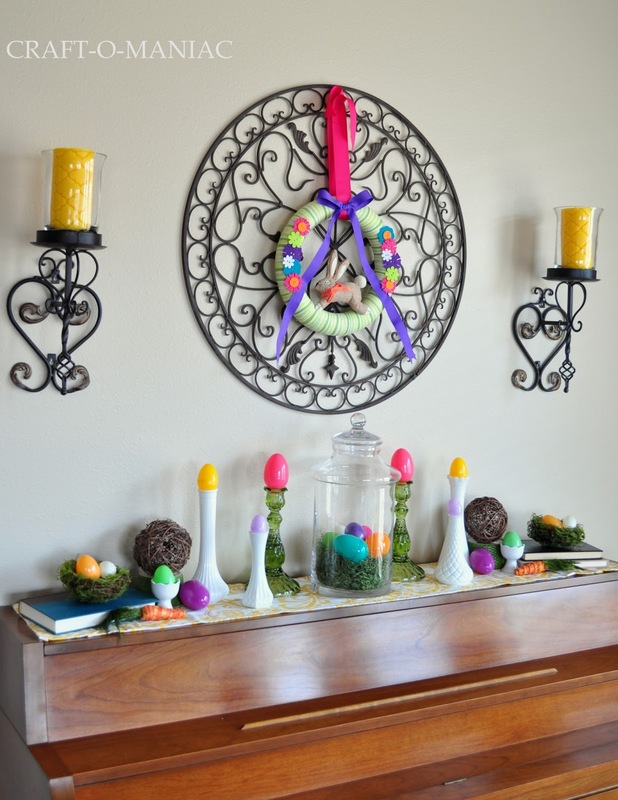 Today I am sharing with you all, how I decorated the top of my piano. 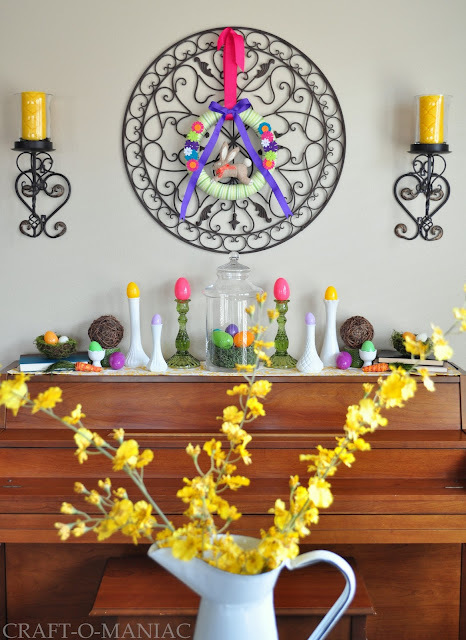 I simply shopped my home and dug through my Easter bin and got busy. I hung my wreath I made a few days ago to the round metal scroll you see. 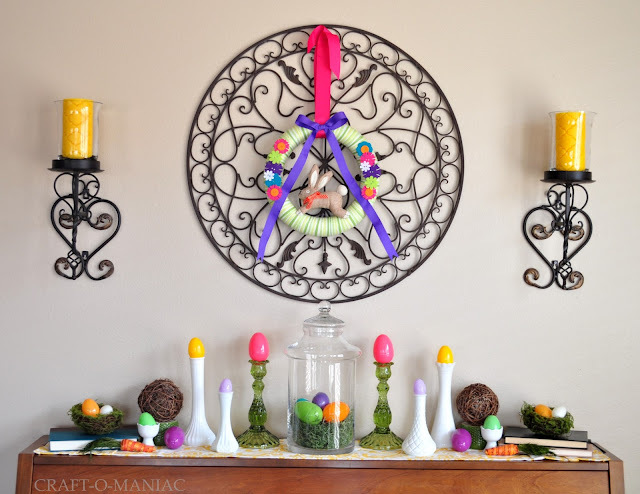 I chose super fun colors this year, and stepped away from the traditional pastels, and went for a fun vibrant change. I hope you like it. earlier this week I was in an anti- Easter decorating rut… however, something in me decided differently and I got busy. 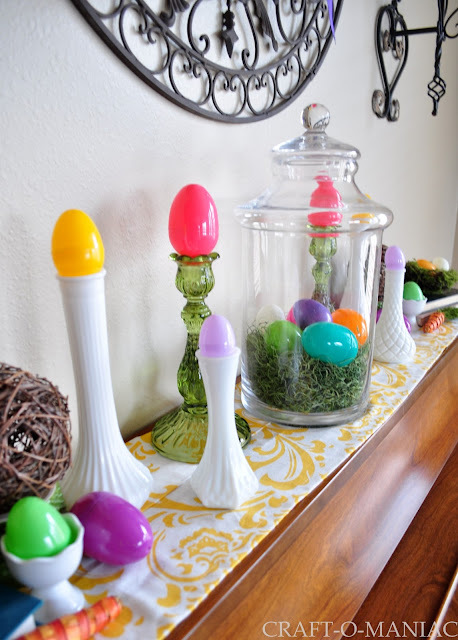 I agree with the first comment.. using the vases/candle holders for the eggs.. great idea!! 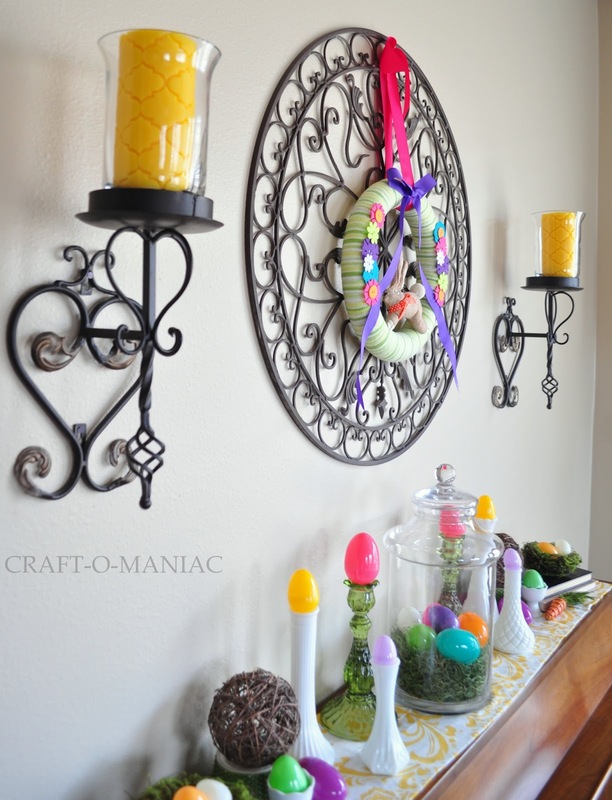 and I love the bright color choice, works great with your beautiful wreath you made. Super cute! My house is still all decked out in green for now but I will be changing it up soon. Love what you did.